This traditional Christmas decoration is also a medicinal herb. Mistletoe extracts have been extensively studied in Europe as a supplemental treatment in cancer therapy. Mistletoe herb was used historically in Old Europe for treatment of epilepsy and other convulsive nervous disorders and was used extensively in the 16th and 17th centuries. 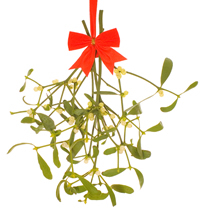 Mistletoe is a nervine, and a narcotic, that is, it has a profound effect on the nervous system. Eating the berries can cause convulsions in children. Trained herbal practitioners make use of mistletoe Phoradendron flavescens teas to slow the pulse and lower blood pressure, treat arthritic pain and snoring. While there are valuable medicinal uses for this herb, there are also much safer, and less toxic choices to treat the same conditions which are readily available to the home herbalist. For the most part the best way to enjoy mistletoe is in the tradition of decorating our homes in the winter season and reflecting on it's legendary promise of the return of new life in the spring. 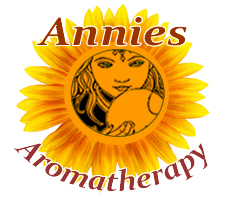 Preparation Methods & Dosage :Injectable extracts, teas, tinctures. Mistletoe Side Effects: All forms of mistletoe are best left to professional practitioners, and are not recommended for the home herbalist. The U.S. Food and Drug Administration (PDA) lists this plant as "unsafe." Mistletoe should be used only under professional supervision as part of an overall treatment plan. At least three standardized injectable extracts have been studied in Europe: Iscador, Helixor, and Eurixor. These products are not designed for self-treatment and are not commercially available in the United States- Mistletoe should be avoided during pregnancy, since it can stimulate uterine contractions. Related Species American mistletoe, Phoradendron serotinum is the Eastern Mistletoe of eastern North America, is also classified in the Santalaceae family, but not the same genus as European Viscum genus. American mistletoe has white flowers and leaves that are more rounded and is traditionally used in Christmas decorations. American mistletoe is not equivalent to the Viscum species herbal medicine. Mistletoe was sacred to the Druids, and branches of mistletoe were hung from the ceilings to ward off evil spirits in ancient Europe. The British Celts decorated their house with holly, mistletoe, and ivy to celebrate the winter solstice. 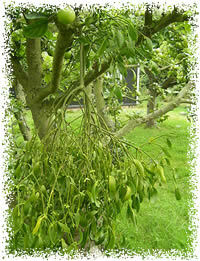 The custom of using mistletoe for decoration of our homes at Christmas is a survival of this old custom. M�ller-Ebeling, Claudia; R�tsch, Christian (2006-10-24). Pagan Christmas: The Plants, Spirits, and Rituals at the Origins of Yuletide (Kindle Locations 592-594). Inner Traditions Bear & Company. Kindle Edition.